Safe chew toys for dogs: Here’s looking at chew! Although that might evoke an image of grabbing a pair of pliers and yanking that little sucker out, tooth extraction is far more complicated than that. Dogs’ teeth have up to three long roots and are extracted using specific surgical techniques. Some teeth are easy to remove; others, not so much. A very difficult extraction can take over an hour, and it must be done with patience and finesse to prevent complications — hence the cringe factor. 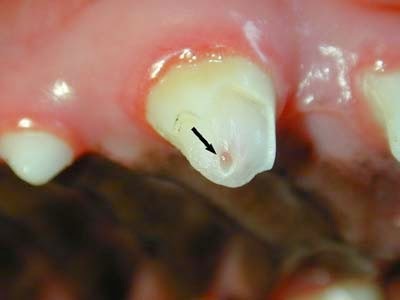 Any broken tooth with an exposed pulp chamber needs to be removed. The pulp chamber contains nerves and blood vessels that extend right down to the root. An exposed pulp makes the tooth vulnerable to infection, and it’s painful. Trauma from many causes can break a tooth, but what I want to discuss is tooth fractures caused by chewing hard objects and toys, because they are often preventable. The specialists offered scathing opinions of hard nylon bones, a few referring to them as “those stupid Nylabones.” They concurred that dogs that chew those toys will eventually break a tooth. They also were universally anti-rawhide but gave a nod to offering pre-soaked flat rawhide chips. I was surprised to see so many warnings about chewing ice cubes. I don’t recall whether I’ve ever seen a tooth broken by ice cubes, but I know there’s evidence that humans can chip teeth from munching on them. I’ll put them on my “don’t chew” list from now on.1 Warnings were even issued for hard “dental treats,” many of which seem to help keep tartar at bay. I’ve recommended those in the past, but perhaps they must be used more judiciously2 — or not at all. A general rule of thumb offered by Fraser Hale, DVM, Dipl. AVDC, is that if you would not want someone to hit you on the kneecap with the item, you should not give it to your dog to chew. If it’s hard enough to hurt your knee, it’s hard enough to break a tooth. That research led me to some clear winners in the chew toy department. West Paw Design makes Zogoflex toys, which are durable but soft and easy on the teeth. Their designs, which include a ball with a deep groove (“makes for a wacky bounce!”) and a flying disc, are non-toxic and dishwasher safe. The company offers a free one-time replacement if your dog destroys one of their products. And Zogoflex floats, a boon for the water-happy hound. The other standout was Goughnuts pet toys. In addition to the attributes of Zogoflex, Goughnut toys have a red core that, when exposed through vigorous sessions of chewing, indicates that it’s no longer safe to chew. When the core is exposed, the company will send a free replacement (shipping costs $5.25). Don’t count on having to replace a Goughnut, though; they are extremely durable. If you have the patience to watch this video, you’ll see a 5,000-pound pickup truck being lifted off the ground by a Goughnut on a cable! Conspicuous by its absence in my recommendations is the Kong. I’ve had many clients tell me that their dog destroys this food-stuffable plaything. For that reason I don’t recommend them for dogs that tear them to pieces, but they’re fine for dogs that leave them intact. 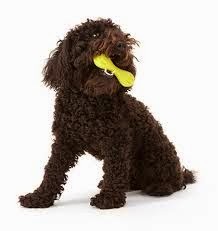 That goes for all chew toys that can be destroyed; the possibility of a foreign-body obstruction in the respiratory or digestive tract isn’t worth the momentary pleasure your pooch gets from noshing on them. I realize that it’s hard to deprive your best friend of his favorite chew toy. But consider the risk of broken teeth vs. the benefit of his chewing pleasure, and make the decision consciously. And don’t forget the kneecap test. If the toy hits your kneecap and makes you say “ouch,” you might be saying “ouch” when you pay your dog’s dental bill! 1 Some other cautions: The fuzz on tennis balls is highly abrasive to dogs’ teeth; you might as well give them sandpaper to chew. And frantic mouth play with large balls can cause serious wear to a pooch’s choppers. Some dogs perpetually carry objects in their mouths, a habit that can wear down or fracture the cusps, or pointy tips, of teeth. The Goughnut stick is soft and would be perfect for pooches of that ilk. 2 One board-certified dentist describes hard dental treats as risky products being foisted on an unsuspecting public. We veterinarians have not received any warnings about their potential to chip or fracture teeth. I couldn’t find many relevant complaints about those products, but when we find a broken tooth, we don’t usually know the offending object — it could be those treats. If you’re concerned about this, stick to biscuits and skip the dental chews. New apps for cats: Cats got game! You love playing games on your tablet: Minecraft, Heads Up!, and Fruit Ninja provide hours of entertainment when you’re bored. Why shouldn’t your tech-savvy cat have her own games to play? I think she should, so I tested some new apps for our feline friends. My test audience was my two Cornish Rexes, Cam and Hogan, both of whom are playful cats. I started with a free app for my iPad called Game for Cats (there’s a similar one for Android called Laser Chase). A small laser-like ball flits across the screen, emitting a soft “ding” when your cat’s paw hits it. Cats have a short attention span, so I can’t give a thumbs up unless a game keeps them occupied for at least five minutes. Surprisingly, this game held my cats’ interest for over a half-hour. I’ll give Game for Cats a thumbs up, especially since it’s free. Laser Chase is similar and even allows your cat to score points when she catches the laser dot. Another freebie, Crazy Cat (Android), has hopping bugs and lively mice for your kitty to hunt. An added dimension (for the human) is that, as with Laser Chase, your cat can earn points, and the faster the critter is going when your cat hits it, the higher the score. The description of Catzilla (iPad, $1.99), another game from the Game for Cats folks, intrigued me: “Catzilla is the most action-packed game for cats on the app store! Your cat is Catzilla! Destroy buildings! Battle crazy monsters!” A thumbs down for this one. My cats barely paid attention to it. Catch and Paint Games for Cats (iPad, $1.99) features six catch games (mice, fish, and an assortment of bugs), a painting app, and a musical game. I tried several times to entice my cats to play the musical game, to no avail, but they did show some interest in the catch and painting games. With eight games available, this was a good buy. I’ve saved the best for last: Paint for Cats (iPad, $2). Android has a similar app called Cat Canvas ($1.49). A rainbow-colored mouse skitters across the screen. When your feline friend taps the screen, a colorful paint splotch appears. If she catches the mouse, there’s a loud squeak. The result is an abstract painting by your little genius that can be printed or shared with the world via social media. Although not a game, here’s something that’s in the realm of cat-ertainment and is worth mentioning: There is now music for cats! The hypothesis posed by scientists in a recent article in Applied Animal Behaviour Science (Feb. 20, 2015) was that cats enjoy music, but not human music: It must be species-appropriate. They discovered that cats did, indeed, show a significant preference for music composed specifically for felines. What folderol, I mused as I downloaded “Spook’s Ditty,” a song described as “sonic catnip.” To my amazement, both of my cats immediately pricked their ears and jumped on my desk, trying to find the source of the music. At $1.29, it’s a nice little perk for the pampered pussycat. Last week my cats were harassing me for food an hour before their evening meal. I placed my iPad on the floor and opened a couple of games in sequence, which held their attention until it was time for vittles. 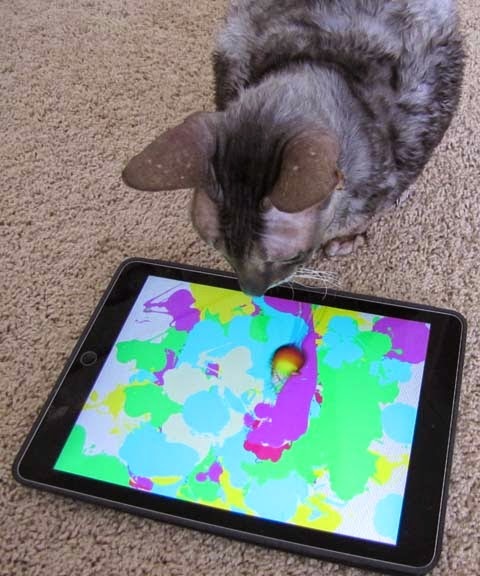 With the variety of feline music and game apps for Apple and Android tablets, there are probably a few your special friend will also enjoy. They are the purrfect way to enrich her environment by sparking her prey drive and piquing her curiosity! How often do you see a cranky dog on TV? Not often, I’ll bet. Dogs in the media are overwhelmingly depicted as happy-go-lucky creatures, bounding joyfully after a ball or effusively greeting people. One could conclude that most dogs have an optimistic view of the world, but a study from the University of Sydney disproves that assumption. It turns out that some dogs have a gloomier outlook on life than others. The researchers in Australia taught dogs to touch a target after they heard a tone associated with a bowl of milk (the reward) and to abstain from touching the target after hearing a tone associated with a bowl of water. Once the dogs learned that, the scientists added tones between those that the dogs had already learned and measured how long it took the dogs to touch the target. Those that touched the target with less hesitation through a broader range of tones were considered more optimistic: They expected the preferred bowl of milk, even if the tones were closer to the tone producing the water. How does that translate into a dog’s behavior, and why should you care? The pessimistic pooch expects more bad things to happen in day-to-day life, which might make him avoid new or unusual situations, or give up when things don’t go his way. This guy might not seem unhappy, but he most likely will prefer the status quo. He might need coaxing to engage in new activities or situations. The optimistic personality expects that most things will go his way. This is a dog that is willing to take risks to get rewards, and that recovers more easily from setbacks and disappointments. Unlike the negative-thinking dog, he won’t be stressed by failure. The cute terrier in this video is the quintessential optimist! Knowing a dog’s outlook on life is important when a trainer needs to assess the dog for working roles. The optimistic dog would be in his element tenaciously searching for a missing child, a fleeing criminal, or a cache of explosives. The more thoughtful pessimist would take fewer chances and would make a good guide dog for the blind. For the pet owner, learning the emotional makeup of his or her companion is the key to interacting with him and training him most efficiently. The cheerful, confident dog will try and try again, even after failure. Your training sessions with him can be longer and more adventurous. 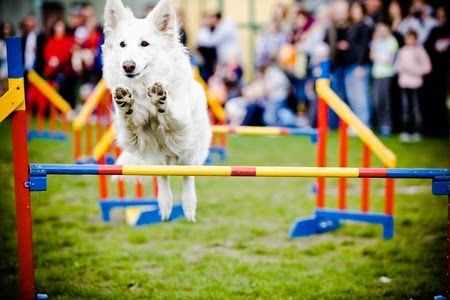 Noisy agility classes are fun for this dog but might initially intimidate the pessimist. Ditto for raucous romps at the park, which might be too stimulating for the less carefree canine. The less outgoing dog will need gentler, more gradual training, with lots of rewards offered along the way to build confidence. He might prefer a game of fetch in the back yard over a stint at doggy day care.